Come for all or even part of the day! DAY PROGRAMS ~ Mix & match a theme! Choose activites from one or more themes to create a program that suits your needs. We can serve you lunch for an additional fee or bring your own sack lunch! 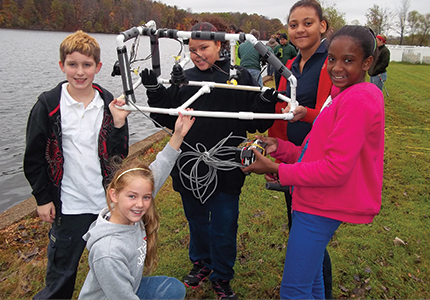 Students participate in fun engaging hands on science activities, solve problems in teams or encounter wildlife. 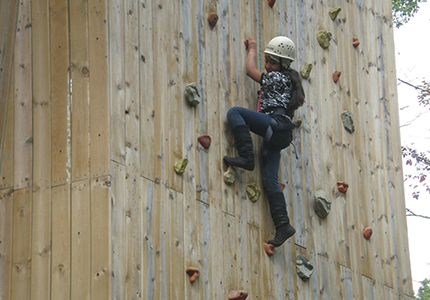 High ropes course and tower climb open to spring 5th and up. This program runs in the spring, summer and fall. In small groups, students receive a bucket of vehicle “parts” including propellers, control box and motor. They are challenged to create a vehicle that they will drive in the lake. This program runs in spring, summer and fall. Excellent STEM activity. 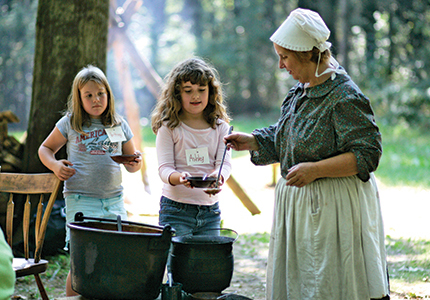 Students experience early 19th century Michigan life in this living history program. Ma and Pa welcome students to spend a full day at the Merrill Cabin. Students help prepare lunch, use period tools, explore buildings on this small homestead and assist with house hold chores. This program runs in May and early June. Every spring the barn is filled with common farm animals. 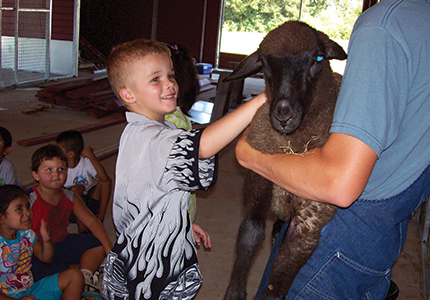 Students touch, smell, hear and feed these animals. This 2 hour educational experience includes a wagon ride around camp. This program runs in May and can accommodate two classes in morning and two in the afternoon. Join Us For Fun, Friendships, and Explorations! Day camp programs at our Outdoor Education Center offer opportunities for fun, friendships, and exploration. Our programs group children by age and encourage their growing ability to make choices, work with others, listen and assume responsibilities. We encourage you to schedule a visit by emailing Matthew Santner, oecevents@battle-creek.k12.mi.us today!